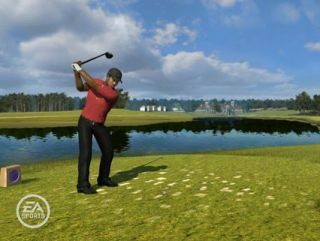 The CEO of EA Sports, Peter Moore, has revealed his thoughts about 3D gaming and feels that sports titles will play a big part in bringing the technology to the mainstream. Speaking exclusively to CVG, Moore said about the importance of 3D and sports: "It's no coincidence that of the 3D [TV] broadcasts I've seen in the last two years, I can count the NBA All-Star event in Las Vegas, while ESPN has announced 3D programming - perhaps even a full channel. "There have also been a number of announcements around the World Cup, with some games broadcast in 3D." And how does this fit in with gaming? Moore then notes: "This is reminiscent of where we were with HD five or six years ago. It seems like a lifetime ago now, but you'd go to CES and be in awe of HD - and it was sports games that showed up the technology." But it is not just sports gaming that's going to make 3D a winner but actually building 3D-specific games and bringing them to the market. "As James Cameron did with Avatar at the movies, you've got to build [games] from the ground up with 3D in mind," explains Moore. "None of the games I've seen [so far] have been built that way - they've been regular games running in 3D. The real secret sauce will be when somebody says: 'I'm going to build this game specifically for a 3D platform'." So, does this mean that EA is doing just that? Well, Moore has given a no comment but did hint: "I think there's great opportunity for EA to bring sports to life in unbelievably imaginative ways, once we can grasp what 3D means to us."